Sometimes you can use a little pick me up! Today we're sharing how mambi Design Team member Jennie McGarvey did just that with her favorite Happy Planner™ supplies. Jennie created a fun DIY Shaker Pocket insert that she can include in her 'Be Bright' Happy Planner™ to remind herself to be the best she can be and inspire some creativity! 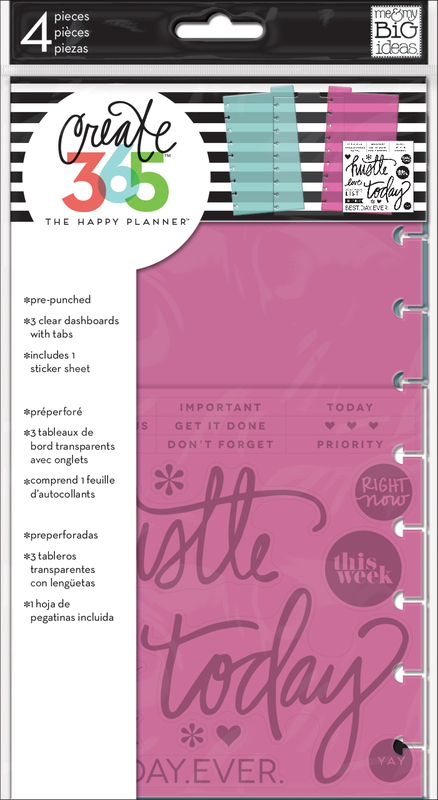 "I took some The Happy Planner™ Page Protectors and filled them right up! I used some pocket cards, confetti I created by punching mambiSHEETS, mambi Clear Expressions™ transparencies, mambiSTICKS stickers and more to create these. Now every time I open my planner, I get the dose of cheer I was looking for." Check out Jennie's 'Plan With Me' YouTube video on this project below. 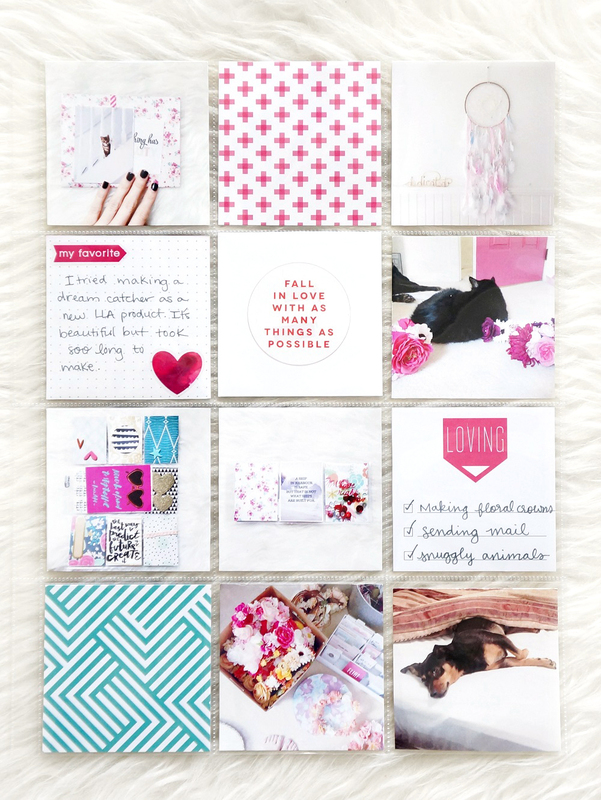 Today we're sharing a few POCKET PAGES™ by mambi Design Team member Laura Rahel Crosby (blog | IG) where she included photos, lots of white space, and POPS OF PINK! We are still so in love with this style of paper-crafting, but also adore how the details of this project spark some inspiration for our Happy Planner™ pages! "I'm bringing the fun, sunshiney vibes from outside into my POCKET PAGES™ album by using mambi POCKET PAGES™ cards. These cards are so colorful and bright, that I make sure to balance them with a lot of white space. I also used some ClearExpressions™ transparency pieces and lots of mambiSTICKS stickers to add some fun embellishments to my pages." Happy Memorial Day, planner friends! 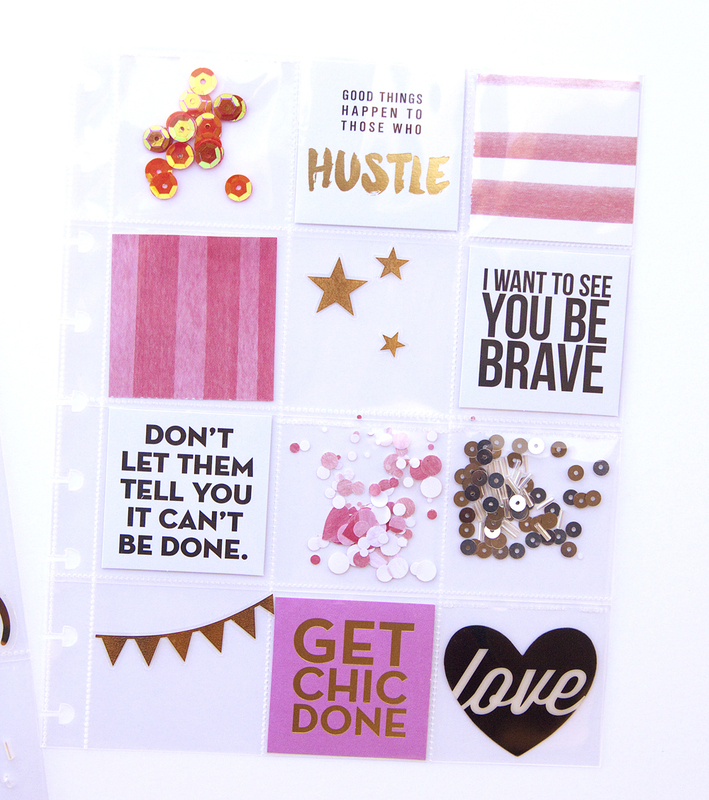 Today we're popping in with this super fun 2x2 sequins shaker pocket page created by mambi Design Team member Thuy Bui (blog | IG). A project of this kind would make the perfect title page to your new Happy Planners™ that start in July! 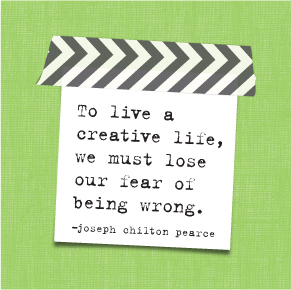 "I picked out some of my favorite 2x2 pocket card quotes and placed them in the page protector. I then added the colorful sequins in the middle and trust me, ladies: there is no wrong combo! I took my sewing machine and sewed across the top to close off the pockets so none of the sequins would fall out. Super easy peasy and it seriously is the cutest!" Thuy used by clicking on the images below. Multi-colored sequins & polka dot crete paper combined with the cuteness of mambi's pocket cards make the perfect customized addition to your Happy Planner™. Today we're sharing how mambi Design Team member Thuy Bui (blog | IG) jazzed up her Happy Planner™ with a DIY shaker pocket page and an embellished, punched pocket card. "I love adding a little glitz and glam to my Happy Planner™ and I found an easy way to do it using the page protectors, pocket pages cards, and lots of colorful sequins! I simply picked out some of my favorite quote cards and placed them in the page protectors. I then added all the colorful sequins and TRUST ME, ladies, there is no wrong combo! I love how they all look together. I took my sewing machine and sewed across the top to close off the pocket so none of the sequins would fall out. Super easy and it seriously is the cutest!" For this project, Thuy took polka dot crete paper, folded it over a few timesto add dimension, then sewed it right onto her Happy Planner™ pocket card. She then used her Happy Planner™ Punch to be able to add it right onto her discs. 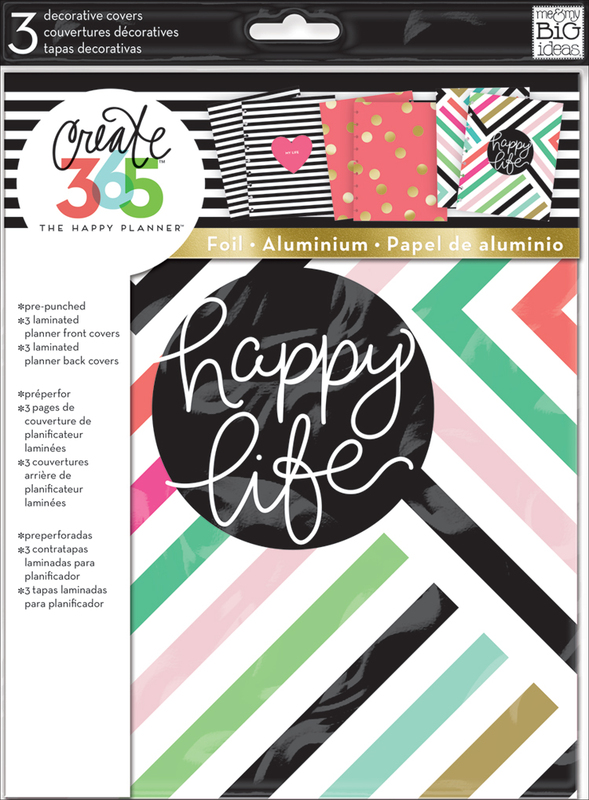 Let's pocket scrapbook in our Happy Planners™! It's so incredibly easy, and today we're sharing how mambi Design Team member Megan McKenna documented the Bitsy Planner Party she attended at Blitsy Headquarters in Chicago using The Happy Planner™ page protectors, Instax photos, and some of our new POCKET PAGES™ cards. 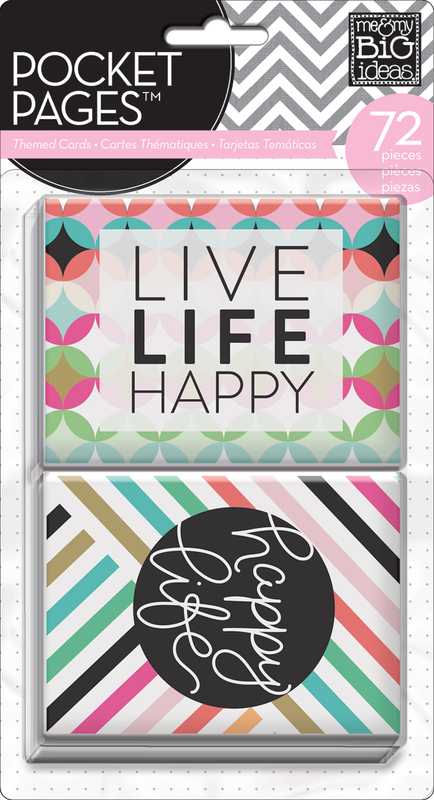 "Who else is IN LOVE with the fact that you can memory keep in your Happy Planners™ with the help from the pocket card page protectors! I recently saw a post from Chantelle (mambi's Customer Happiness Specialist) that the instax mini photos fit perfectly on the pocket cards! These give a nice background for your photos! I loved how it looked and had to do a layout myself! Before I attended the Blitsy Planner Party I prepped these pages with cards in them already so I could snap pictures and memory keep right there at the party, but because I was having so much fun I wasn't able to fill the pockets until I got home. I used cards from the new 'Botanical Garden' and 'Watercolor' POCKET PAGES™ card packs." "I also received a schedule from the party that I knew I wanted to keep with these photos. 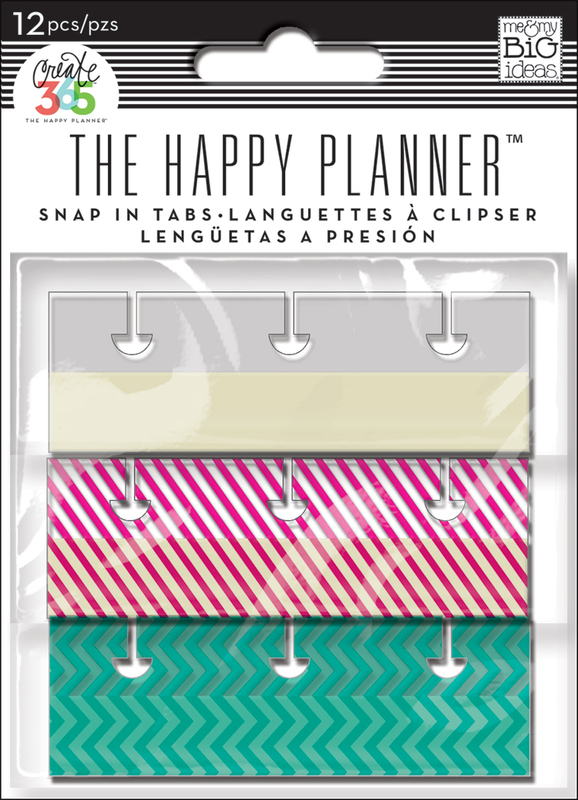 Instead of using The Happy Planner™ Punch, I decided to use a snap-in tab. This way nothing was going to get cut off on the sides. I inserted the schedule sheet in between the two pocket pages and now these memories are saved right in my Happy Planner!" Giving the gift of a sweet little handmade minibook means you're giving the gift of memories, and showing the receiver that those memories mean a lot to you. That's exactly what mambi Design Team member Heather Adams (blog | IG) did when she created this 4x4 inch minibook as a graduation gift for her friend, Makenna, using trimmed POCKET PAGES™ cards from some of our brand new packs. "With graduation coming up soon, I thought it would be nice to make a little mini album of my friend Makenna and I to give to her as a small going away gift. We don’t have many pictures together, but the ones we do have have a lot of memories attached them. I thought it would be really special to put them all together. I used some POCKET PAGES™ cards to make the 4x4” pages and then added some 3x4" cards and transparencies here and there to break up the monotony. I used a stitching template to add the “M&H” title on the front of the mini album." "I love the simple design of this mini album (which also made it faster to create), but I also love all the textures you can add into a small mini book like this. I’m so excited to wrap this album up and give it away!" Can you believe it's almost May? Today we're sharing some pages from mambi Design Team member Laura Rahel Crosby's (blog | IG) 2016 POCKET PAGES™ album so far. Laura is keeping the style of this album very simple and clean and all the embellishments she's chosen are to keep the emphasis on her photos. "My album for memory keeping this year it's all about being minimalist, with lots of white space to highlight the gorgeous photos. I'm only using my favorite things. It allows for a whole lot of pretty using just a couple supplies!" "I'm obsessed with using the large, black alphas in my 2016 album. They pack such a graphic punch! 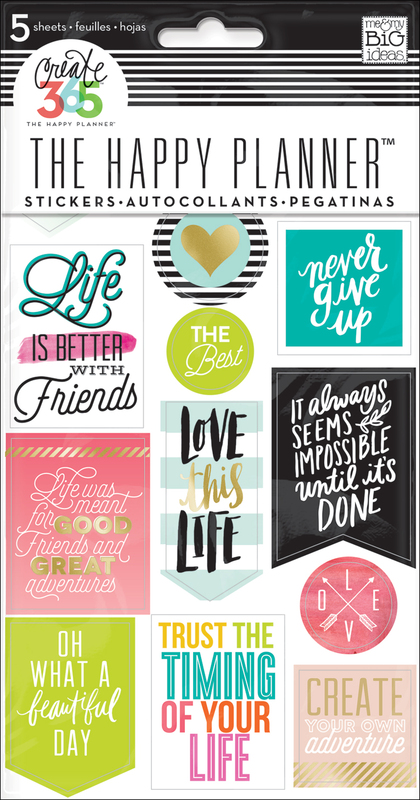 Same for the BIG clear stickers with inspirational quotes on them." Many of our Design Team members and you happy planners out there have been using your Happy Planner™ for memory keeping. 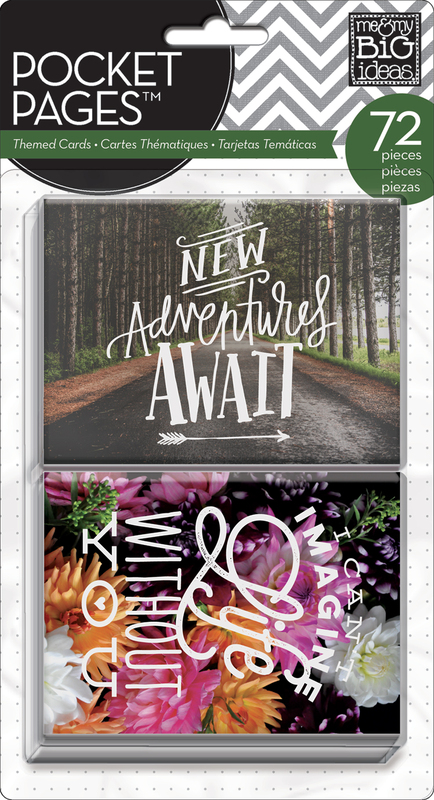 The possibilities are endless with the discs-bound system of The Happy Planner™, and there is no right or wrong way to make it work for you. Today, we're sharing how mambi Design Team member Jen Randall made this weekly spread work for her to memory keep the last few days of March, and included an aquarium brochure and a cute fold-out POCKET PAGES™ card. Woo! "Oh my gosh! I am LOVING my memory keeping in The Happy Planner™. It makes the whole process fairly quick and of course loads of fun. 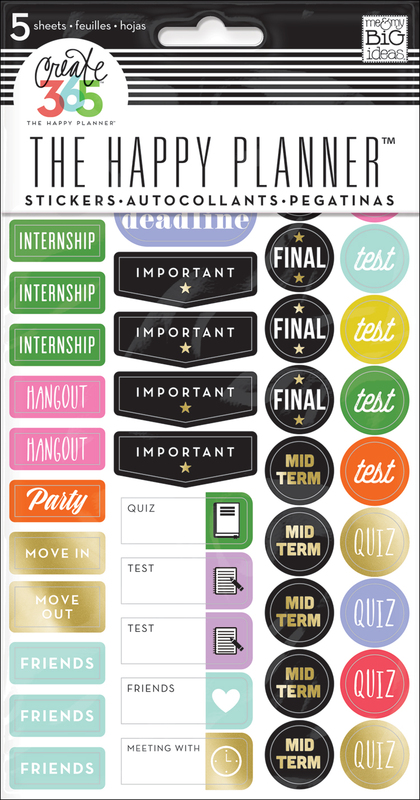 I have been memory planning in my Happy Planner™ since January of this year. Each month I feel that the process is getting better and better. At first I felt like I was flailing around a bit, not exactly sure what I was doing. Now, I am challenging myself to add different elements into the weekly spreads. My biggest challenge is to get more space for journaling! Some weeks just have a lot going on and need more 'real estate' on my pages. 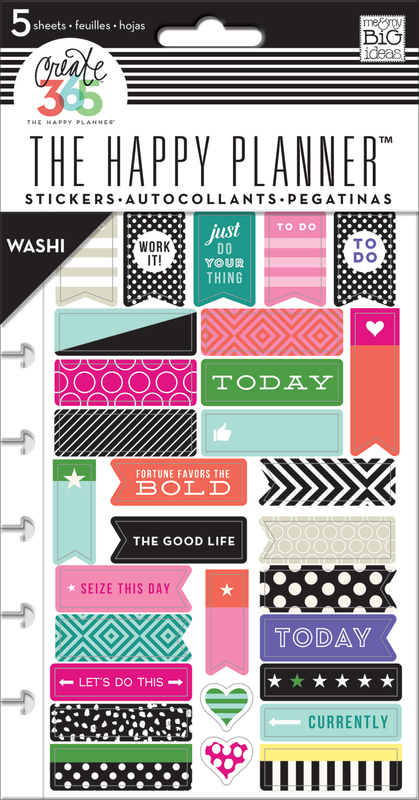 Thank goodness for The Happy Planner™ Punch, snap-in tabs and POCKET PAGES™ cards. These helpful products are my favorites lately! You can see this week that my family and I went to the LEGOLAND Sea Life Aquarium. I wanted to add the map brochure, but couldn’t use the punch. If I did, there would be holes showing when the map was completely open. The Snap in Tabs are perfect for this type of memorabilia. I love the way it looks AND I added some pictures right to the front. 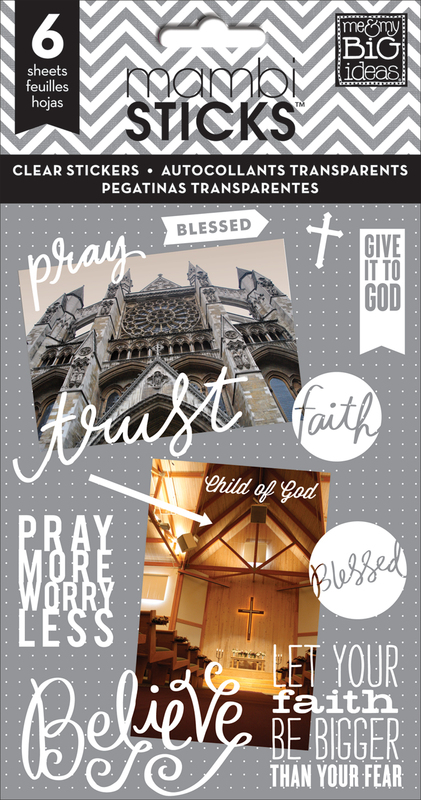 It’s a great way to get more pictures into your layouts for special activities or events." "Also, the month of March ended on a Thursday, and because my Happy Planner™ is undated, I left the three days (Fri-Sat-Sun) empty to add more photos, journaling, and highlights from the month. I took a gorgeous POCKET PAGES™ card from the 'Picture Quote' set and added it with washi tape to the edge of the page. I added a little adhesive tab to the other side which really makes the page fun & interactive. When you lift the tab up, I was able to add another card directly to the page and journal about my daughter. SO fun!"